The most known texts that constitute to the five elements are: Nei jing consisting of the Su Wen and the Ling Shu and Nan Jing, the classics of difficulties (220-202BC). 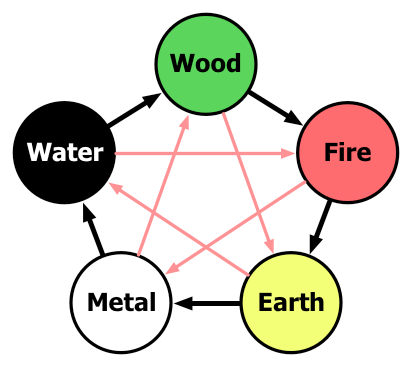 The five elements are Water, Wood, Fire, Earth and Metal. 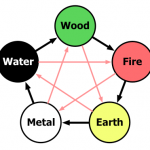 These elements describe qualities of energy found in nature. These energies interact with one another through universal laws. They are phases through which all things pass from their beginning to their end. Each element can be observed within the seasons in nature, and has connections to different organs of our body. In practice this dominant element is often referred to as the patients constitutional factor, the pivotal element that provides balance to the other four elements.